Lactase enzyme breaks down the milk sugar, lactose, into an easily digestible form. 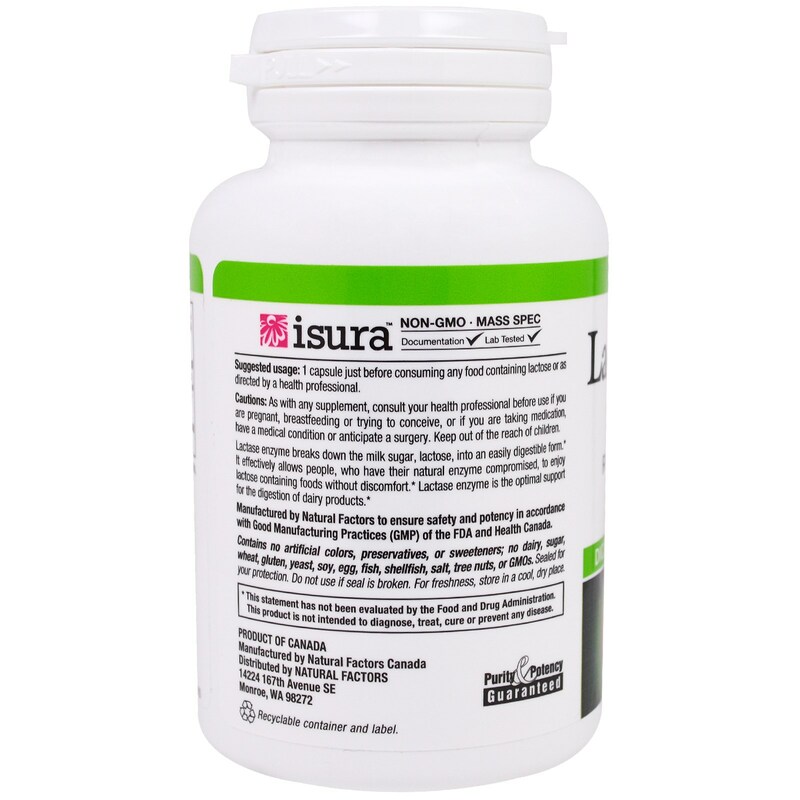 It effectively allows people, who have their natural enzyme compromised, to enjoy lactose containing foods without discomfort. 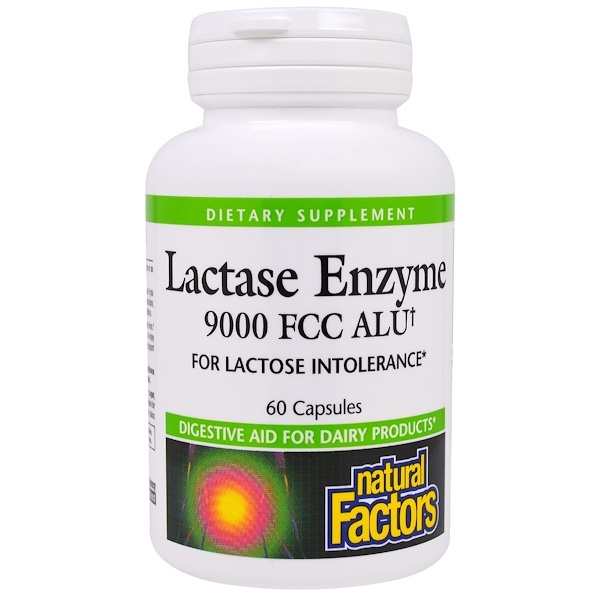 Lactase enzyme is the optimal support for the digestion of dairy products. 1 capsule just before consuming any food containing lactose or as directed by a health professional. 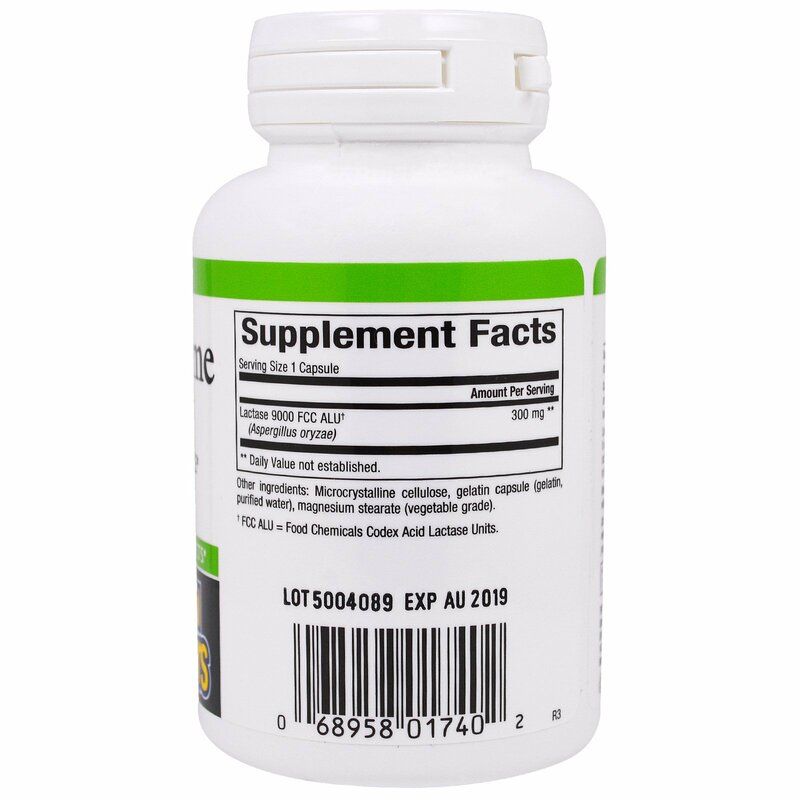 Caution: As with any supplement, consult your health professional before use if you are pregnant, breastfeeding, or trying to conceive, or if you are taking medication, have a medical condition or anticipate a surgery. Keep out of the reach of children. † FCC ALU = Food Chemicals Codex Acid Lactase Units.